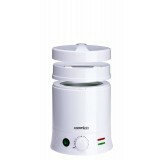 Caron Professional Wax Heater 1L Designed to hold Revolutionary Microwavable 800g Hard & ..
Caron Professional Wax Heater Insert - 1L Fits the Caron Professional 1 Litre/800g Wax Heater.. 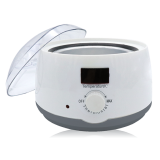 This sleek modern design with digital display allows you to choose the most optimal temperatu..
Small kit contains: 1 x Paraffin Bath (small) 1 x Paraffin Peach Wax (1kg) ..
Metal Insert for NEW model (released in 2014) LycoPRO Mini Wax Heater ..
LAST ONE!!! 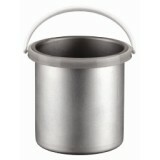 LYCON PROFESSIONAL WAX HEATER Exclusively made in Italy.. 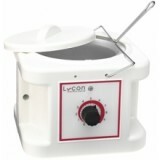 Contains everything needed to create perfect and precise LYCON brows and for all lip, face and no..
With LYCON's new LYCOpro Duo heater, you can heat 2 waxes at the same time...LYCOdream hybrid hot..
With LYCON’s new LYCOpro Mini heater and ultra pliable, easy to work with LYCOdream Hybrid hot wa..